The cost of smoking in California amounted to $18.1 billion: $487 per resident and $4,603 per smoker. This includes direct health care costs and indirect costs from lost productivity due to illness and premature death. There were 34,363 deaths attributable to smoking in 2009: 17 times more than the number from AIDS; five times the deaths from diabetes, influenza and pneumonia; and three times the number of deaths from Alzheimer's disease and unintentional injuries. Among adults who smoked, a majority were “light” smokers who abstained some days or smoked fewer than 10 cigarettes a day (61 percent of women and 59.7 percent of men). Fewer Californians smoke today than 10 years ago, yet smoking continues to take an enormous toll on the state and its residents, triggering $18.1 billion in health care costs and lost productivity from illness and premature death. 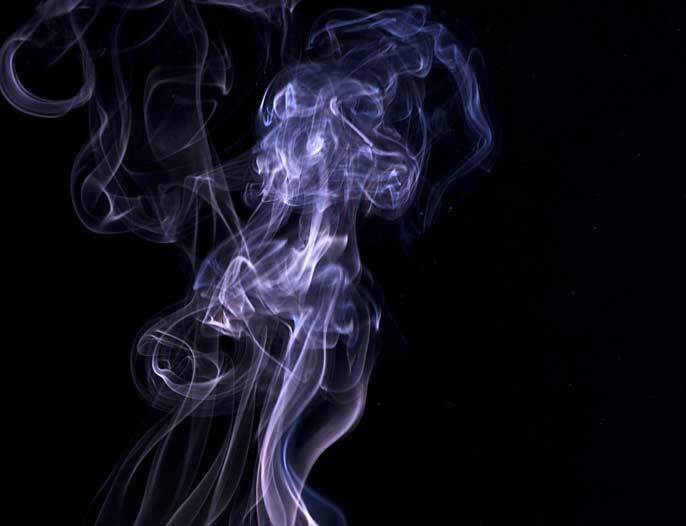 In the first comprehensive analysis of the financial and health impacts of tobacco in more than a decade, UC San Francisco researchers found that smoking accounted for one in seven deaths in the state — more than from AIDS, influenza, diabetes, or many other causes. While the number of smokers in California declined from a decade ago, nearly 4 million people still smoke, including an estimated 146,000 adolescents, the UCSF study found. "We found that while the California tobacco control program has led to reductions in tobacco use in the state over the last decade, smoking is still far too prevalent and results in far too many deaths and high health care costs,” said principal investigator Wendy Max, Ph.D., professor of health economics at the UCSF School of Nursing and director of the UCSF Institute for Health & Aging. The research was conducted at the institute, with grant funding from the Tobacco-Related Disease Research Program of the University of California’s Office of the President. The findings offer a snapshot of tobacco use throughout the state drawn from 2009 data, the most recent available when the study began. UCSF researchers profiled each of the state’s 58 counties with total costs, costs per resident and per smoker, expenditures for each type of health care, smoking prevalence and mortality measures. The same investigators conducted similar statewide studies in 1999 and 1989. The report found that smoking prevalence was higher in some parts of the state than others, and that males — whether teens or adults — were far more likely to smoke than females. "This kind of detailed data helps us target our limited smoking cessation resources where they are needed most," said Dr. Michael Ong, chair of the California Tobacco Education and Research Oversight Committee and a UCLA physician. "We also see clearly from this report that tobacco — despite declines in its prevalence — remains a major threat to public health and a drain on health care resources." The cost to California, its counties and its residents from smoke-related diseases remains significant. In Los Angeles County, for example, smoking carried a $4.4 billion price tag in 2009 — the highest of any county in the state. That total included $2.3 billion in direct health care costs and $2.1 billion for indirect costs, of which $1.7 billion was due to premature deaths. "Smoking exacts an extraordinary economic burden on our county," said Dr. Paul Simon, director of the LA County Public Health's division of Chronic Disease and Injury Prevention. "The dollar amount is staggering, and it does not take into account the untold emotional costs on family members and friends." UC President Janet Napolitano said the study exemplifies the ways in which university research informs the work of public health offices around the state. UC campuses conduct a wide range of research each year aimed at improving the lives of Californians and people around the world — often in partnership with state and federal agencies looking to understand and address important health issues. "In partnership with the state, we've made great strides in educating people about the risks of smoking, but as this important study shows, there is much more to do," Napolitano said. As the former Arizona attorney general, Napolitano was heavily involved in implementing the Master Settlement Agreement and represented the nation’s attorneys general on the Board of the Legacy Foundation, the largest national non-profit public health organization devoted to tobacco control. Statewide, smoking represented $6.8 billion in lost productivity and about 587,000 years of potential life lost from 34,363 deaths, or 17.1 years per death, the researchers found. Smoking also was found to be a leading cause of death in 2009. The 34,363 total deaths from smoking were 17 times the number from AIDS; five times the deaths from diabetes, influenza and pneumonia; and three times the number of deaths from Alzheimer’s disease and unintentional injuries. Cancer was the primary cause of smoking-attributable death, accounting for 13,514 deaths, followed by cardiovascular disease with 10,490 deaths, and respiratory diseases with 10,331. Pediatric disease accounted for 27 deaths, and secondhand smoke exposure was attributed to 794 adult deaths. Hospital care of current and former smokers cost $4.3 billion of the $9.8 billion total health care costs of smoking. Ambulatory care services were $2.1 billion; nursing home care, $1.5 billion; prescription drugs, $1.1 billion; and home health care, $794 million. The report found that the state’s tobacco control efforts have been effective in reducing smoking-attributable deaths, reducing the prevalence of smoking and cutting the real costs of smoking, as compared to a decade ago. Nonetheless, costs remain high and the wide variation in smoking costs across the counties suggests that many geographic areas would benefit from targeted efforts to reduce smoking. "County-level estimates of the costs of smoking help to identify geographic disparities in the economic burden of tobacco use. These data are useful for local governments and policy makers to develop more effective tobacco control policies at the local level,” said co-author Hai-Yen Sung, Ph.D., professor of health economics at the UCSF School of Nursing and the UCSF Institute for Health & Aging.